"Bright, well-spoken, and vivacious young woman, who is not merely a talented author, but is well-rounded and multi-faceted"
BOOM! The ground beneath her rumbled, making Meg stagger back a few paces. The Barrier trembled, hairline cracks fracturing the edges and snaking in every which direction. . . .
​For years Doovik’s barrier has kept humans safe and all other creatures out. But when a powerful curse strikes her land, it’s up to Meg and her friends to battle the mythical monsters outside the barrier and follow the clues to break the spell and save her home. Roseabelle, Jessicana, and Astro are back! Roseabelle and her friends have retrieved the Stones of Horsh, but now the only way to save themselves is to destroy the Darvonians' power source, hidden deep within a dark island. Return to the magical land of Benotripia in this thrilling conclusion to Roseabelle's adventures! The Darvonians have invaded, and they want the legendary Stones of Horsh to give then the power to defeat the Benotripians. 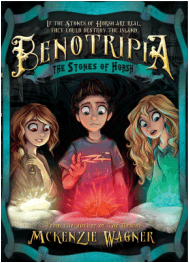 With her friends Jessicana and Astro by her side, Roseabelle sets out on a quest to find the stones first and destroy them. Roseabelle's exciting new adventure is perfect for parents and children alike. The warm friendships, easygoing characters, and constant dangers will excite readers of all ages, and the magical island is sure to ignite your imagination. When her mother—-the ruler of Benotripia—-goes missing, Roseabelle knows she'll need the help of her best friends and their combined powers to survive the perilous journey ahead of her, rescue her mother, and save Benotripia! 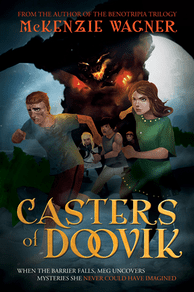 Written by a young author, this exciting adventure story pulls you into a true fantasy world. A suspenseful and addicting read! Read a review by Deseret News:Two islands stand amid swirling seas of mist and oceans that stretch as far as the eye can see. Eleven-year-old Roseabelle lives on the tropical island of Benotripia with her mother, Danette, the island’s leader. 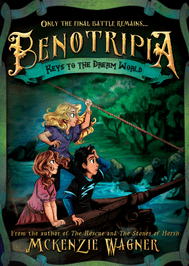 When Danette suddenly disappears, Roseabelle, with her friends Astro and Jessicana, embark on a perilous journey to the dark neighboring island of Darvonia to save her mother and, if possible, Benotripia. This wildly imaginative tale will transport you to a fantastical kingdom that will haveyou discovering more adventure and intrigue with every page. When Anna Cradle moves from Virginia to California, she steps into a real-life adventure that is the stuff of fairy tales! When Anna finds a beautiful, rainbow-colored wall right in her own backyard, she climbs it with a little red ladder, and what she finds nobody could have guessed! The craziest and most fun part is—only she can see the world that is laid out before her. 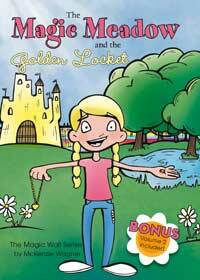 Join Anna in the first two colorful adventures of The Magic Wall Series as she journeys toward The Magic Meadow and the Golden Locket and Blue Lagoon and the Magic Coin to help her new fairy friends save Magic World!